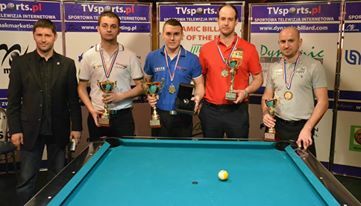 28-29.03 .2015 Slovachian Open 9-ball Slovakia detalii..
16-17.05 .2015 Polish Open 9-ball Poland detalii..
04-05.07 .2015 Bulgarian Open 9-ball Bulgaria detalii..
15-16.08 .2015 Romanian Open 9-ball Romania detalii..
17-18.10 .2015 Serbian Open 9-ball Serbia detalii.. Contact the Atd-Dynamic center for additional information. 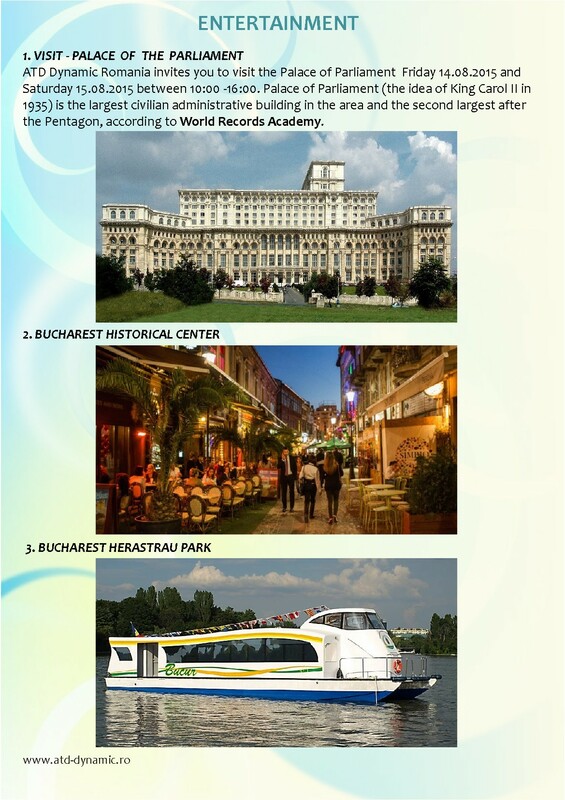 Refer to www.atd-dynamic.ro for the most current information. 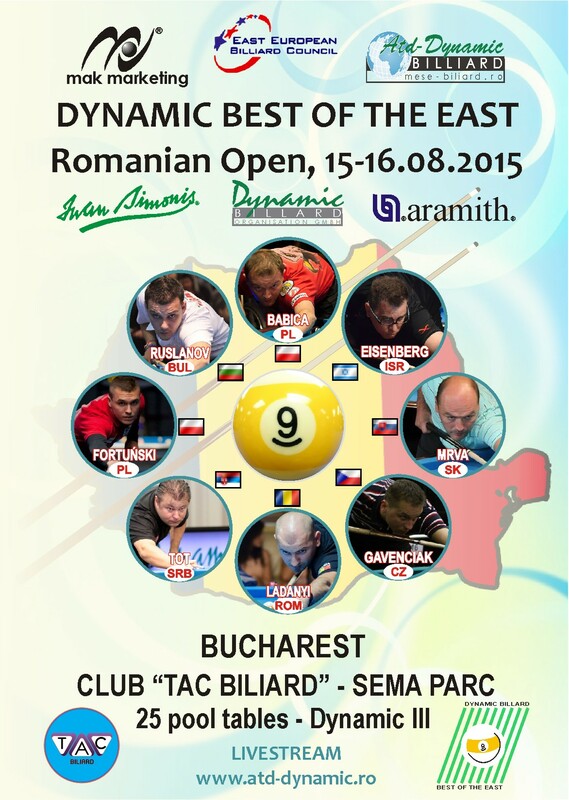 The last tournament of the Dynamic Best of the East 2015 cycle took place in Cue Ball Club in Belgrade. 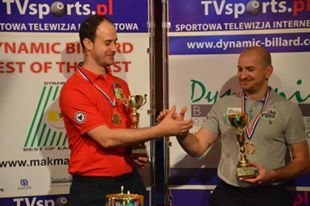 Sandor Tot in the final match defeated Tomasz Kaplan and became the winner. Ivica Putnik and Sanija Pehlivanowic got the bronze medals. Each of the medalists used to be the European Champion. Considering the fact that amongst the best eight players was junior Aleksa Peceli we can say that this competition was a great mixture of experience and youth. There were also some surprises - Andreja Klasovic , Cristea Surdea and Goran Mladenovic did not get to the final stage. 70 players from 9 countries (Serbia, Romania, Macedonia, Turkey, Poland, Bulgaria, USA, Bosnia and Herzegovina and Croatia) took part in the tournament. Amongst them were three former European Champions - Sandor Tot , Ivica Putnik and Tomasz Kaplan and triple European Vice-champion - Zoran Svilar . Only Putnik had some difficulties to get to the final stage as he lost match with Milos Verkic 3:7 but later won next two matches and got to play-off's. In a group of 32 best were 18 players from Serbia, 2 from Bosnia, 2 from Macedonia, 4 from Romania, 2 from Turkey, 2 from Bulgaria, 1 from Poland and 1 from Croatia. 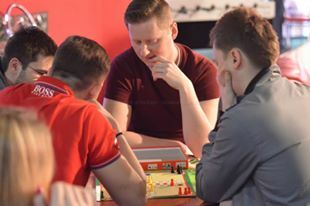 Amongst well known players who dropped out from the competition were Svilar defeated by Benjamin Mujicicov 4:7, Ioan Peiov , Dragan Ludoski , Dragan Lancarski and Cyprian Gindac who could win the match but made stupid mistake and lost the match with I. Putnik. In quarterfinals the most interesting was the match between T. Kaplan and M. Verkic . They know each other very well. 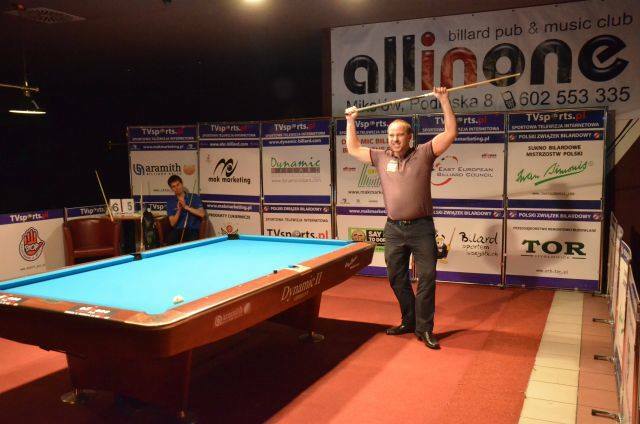 Verkic, who is also the President of Serbian Billiard Association, had a wonderful support of spectators and was leading 2:0 but then Kaplan won next 4 breaks and finally after very tight match defeated Verkic 7:6. 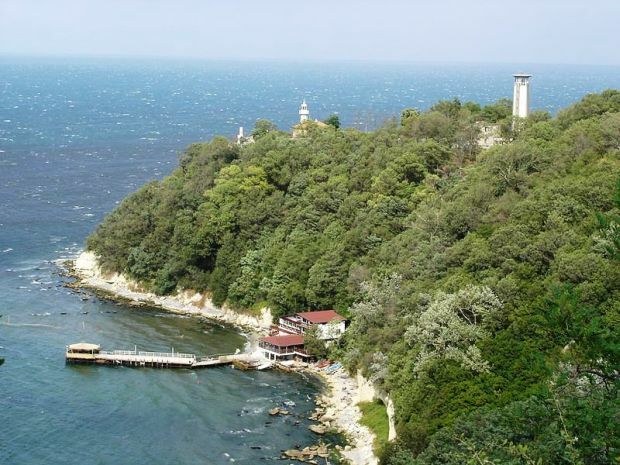 In semifinals Kaplan was much better than young Pehlivanovic and Tot defeated Putnik. Tot even though was very nervous won the final match with Kaplan 9:3. 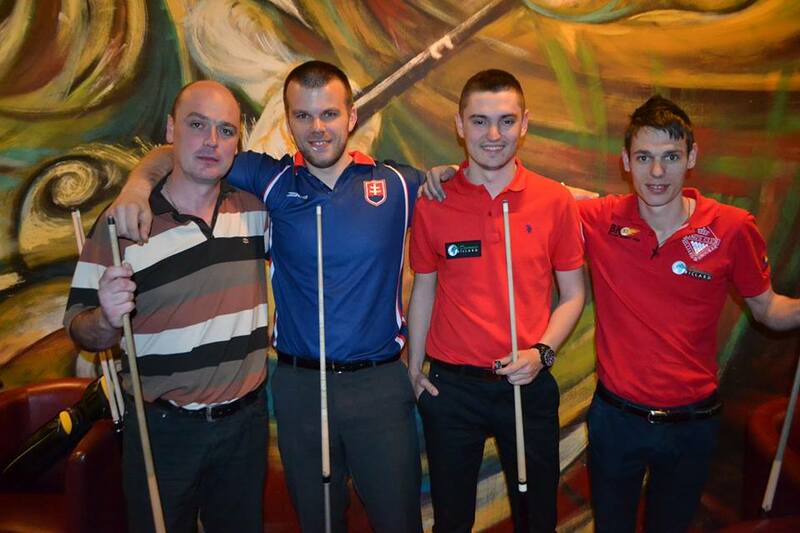 Serbia 9-Ball was a very interesting and well prepared event. A duet of referees - Alexandru Balasa as a main referee and Predrag Tadic did a very good job. The atmosphere created by the hosts of the tournament - Darko Stankovic and Andreja Klasovic was perfect. They received a special thanks from the cycle director - Marcin Krzeminski. The organizers gave a gift to Ewa Bak - the only woman playing in the tournament. 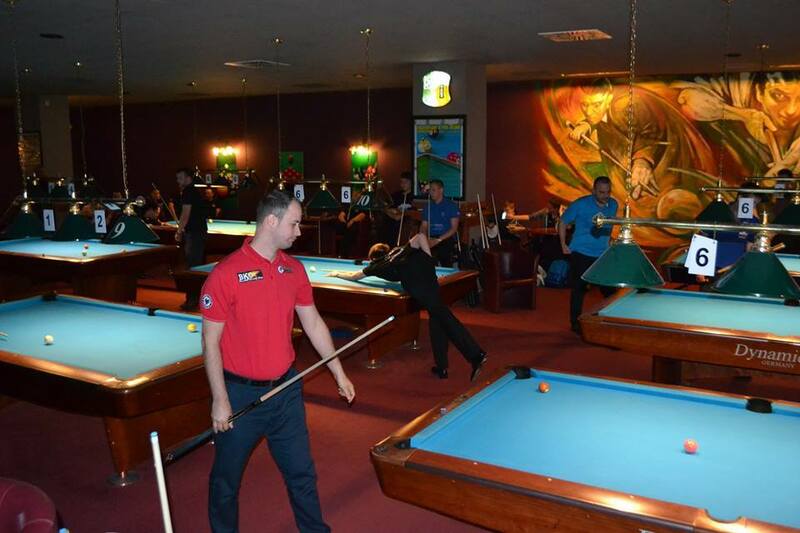 The fourth tournament of the Dynamic Best of the East 2015 cycle was played in TAC Club in Bucharest. Konrad Piekarski won the competition. Radostin Dimov got the silver medal and Jakub Koniar and Raul Maican got the bronze medals. 67 players from 6 countries joined the competition. Amongst the favorites were players from Poland, J. Koniar and few representatives of host team: I. Ladany , M. Braga or M. Toader . 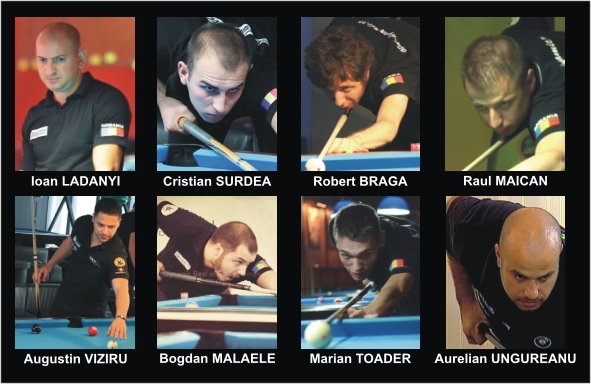 Most of the players from Romania dropped out during the first day of the tournament. The last of them - Raul Maican was defeated by K. Piekarski in semifinal. 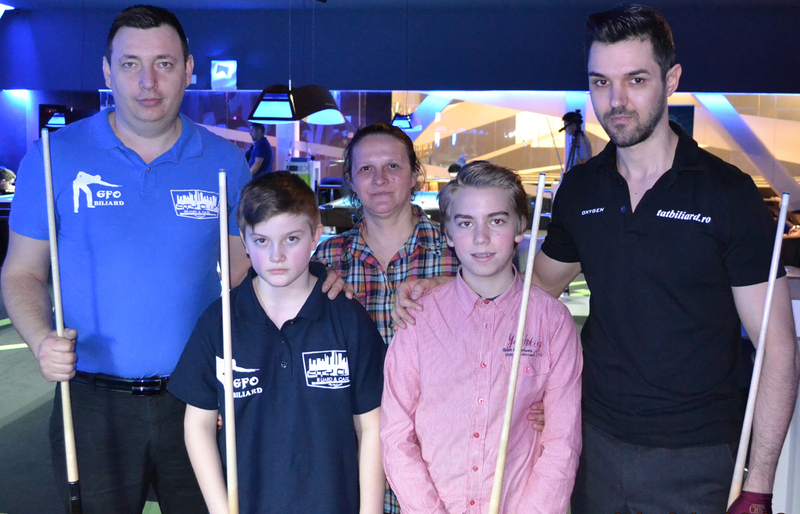 It was good tournament for players from Bulgaria R. Dimov defeated M. Fortunski and J. Koniar and got to the final. Mihaela Ghorgiu - the best player amongst the women and junior - Ben Dvash got the special distinctions. Many thanks to the hosts: ATD Dynamic Compay from Bucharest and TAC Club. The main referee was Alexandru Balasa . In general ranking the current leader is Ioan Ladanyi - 275 pts. Then Mieszko Fortunski and Marian Toader - 210 pts. Konrad Piekarski is on the fourth place - 200 pts. Fifth place - Mariusz Skoneczny - 165 pts, sixth place - Vojtech Stofko - 155 pts, seventh place - Radostin Dimov - 140 pts, eighth place - Lubomir Pindiak , Martin Boychev and Mihail Braga - 130 pts. 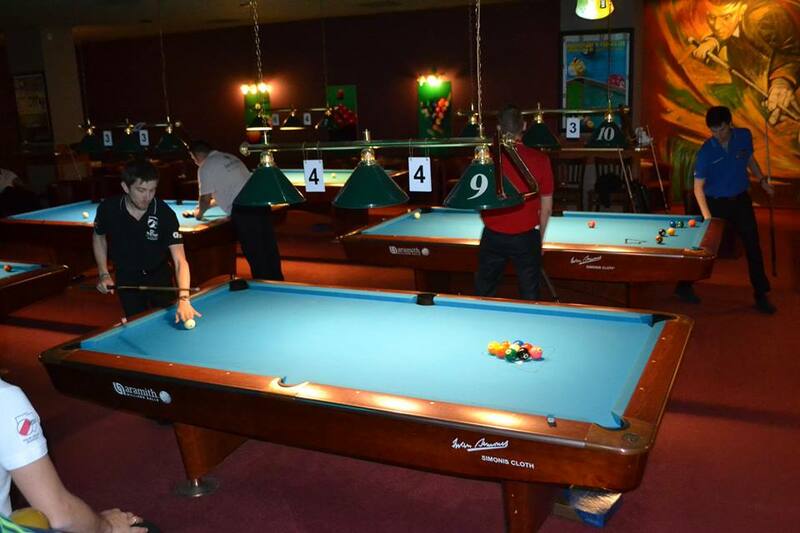 The last tournament of 2015 cycle will take place on 16-17th October in Cue Ball Club in Belgrade (Serbia). 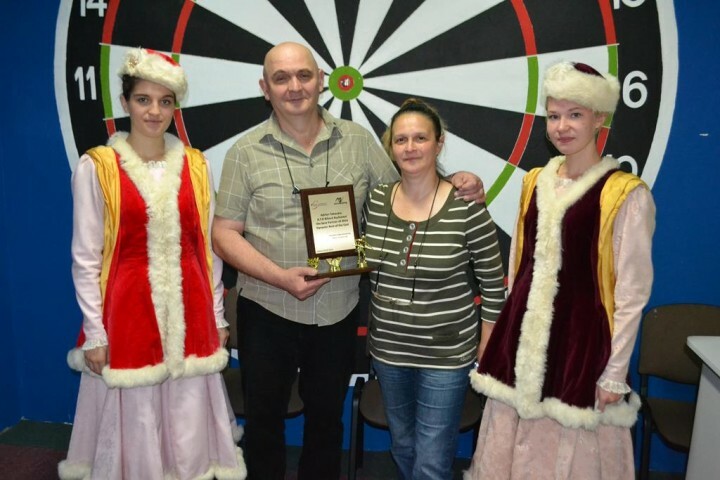 Also referees were awarded Balas Alexandru and Dragne Iulian, received diplomas and awards organizers TABACARU family, representing ATD Dynamic Billiards, Mr. Leonard Dobre, the host club and Mr. Marcin Krzemiński Cue Billiards - Clerk of the Course. Zawodnicy z Bułgarii i Rumunii podzielili się medalami w trzecich w tym roku zawodach Dynamic Best of the East. W Warnie najskuteczniejszym był Ioan Ladany . Łącznie zagrało ponad 50 zawodników z 7 państw (Polska, Rumunia, Bułgaria, Serbia, Rosja, Białoruś i Słowacja), a mecze pierwszej fazy rozegrane zostały w dwóch klubach: Club 9 i Shark. Polski team składał się z juniorów uczestniczących w Letniej Akademii Bilardowej. Najwyżej z tej grupy wspiął się Dawid Tonojan z MOSiR Kętrzyn zajmując 9 miejsce. Wielkie emocje związane były ze startem zwycięzcy rankingu 2014 roku Ioana Ladany . W meczu o ćwierćfinał Ioan przegrywał z juniorem Mario Valchev 4:6. Bułgar dopingowany przez kilkudziesięciu kolegów nie wytrzymał jednak presji i przegrał 6:7. Szansę na pokonanie Ladanego miał także Marian Toader . W decydującej partii podejściem bez pomyłki zakończył Ioan. Mecze półfinałowe to pojedynek Rumunia-Bułgaria. W pierwszym meczu Mihail Braga rozpoczął od prowadzenia 3:0. Stanimir Ruslanov wygrał kolejne 4 partie i... ani jednej więcej. W 4 kolejnych rozbiciach królował Braga. W drugim meczu Radostin Dimov tylko na początku stawiał opór Ladanemu. Później dominował Ioan zwyciężając 7:4. Tak więc w meczu Rumunia-Bułgaria było 2:0 dla Bukaresztu. Finał to było mocne uderzenie Ladanego. Bez pomyłki zdobywał kolejne punkty. Bezsilny Braga stopniowo tracił wiarę w zwycięstwo. Przy stanie 6:0 Ioan sfaulował i pierwszy punkt zdobył Mihail. Ostatecznie mecz zakończył się wynikiem 7:2. Podziękowania dla gospodarzy imprezy oraz zespołu sędziowskiego: Rosity Apostolovej, Pauliny Ząbek oraz Vladimira Popova. 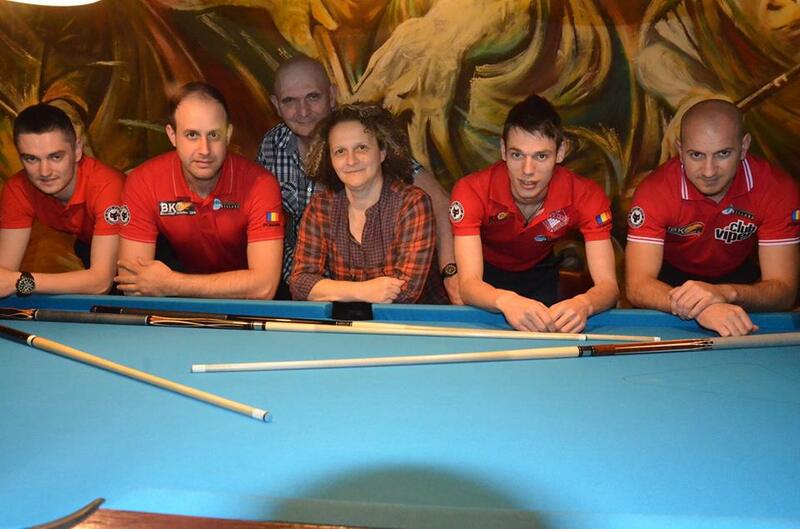 Sponsorami turnieju były firmy: Dynamic Billard Organization , Iwan Simonis i Aramith . Zespół rumuński w tym turnieju był wspierany i sponsorowany przez Adrian i Marii TABACARU - ATD Dynamiczny Fakturowanie. Lopotko Hubert won the gold medal. 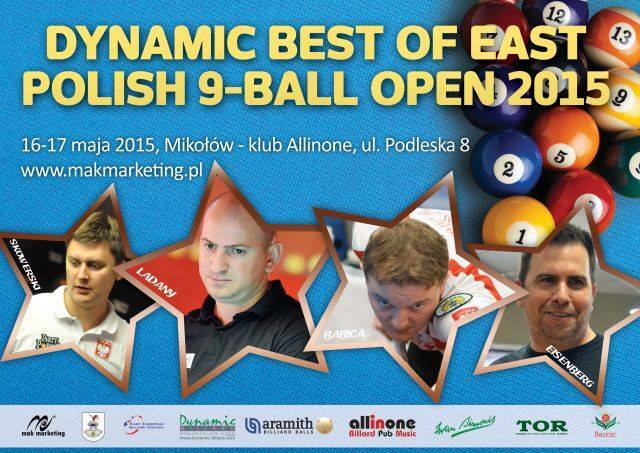 The results of Dynamic Best of the East Polish 9-Ball are a big surprise. 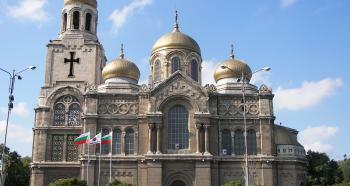 It was a great success for Hubert Lopotko and Kamil Szaszor . No one was putting on them before the tournamnet. 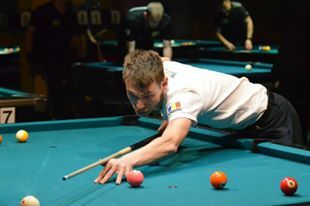 In final match Lopotko defeated Wojciech Szewczyk 7:5. H. Lopotko was a great junior player and got the bronze medal of world championship and medals of european championships. In seniors' competition got medals of Polish championships. About 3 years ago disappeared form the billiard life. His start in competition in Mikolow was a big sensation but he was not considered as a favourite. Kamil Szaszor is 16-year-old and, though won in this season Polish Junior Championships in 2 game types and played very well in Polish Grand Prix Brześć Slomka Ptysiowa POL TOUR in Ketrzyn, also wasn't a favourite of the event. In spite of this defeated Karol Skowerski and Mieszko Fortunski . Very successful was the start of Michal Czarnecki who won with Radoslaw Babica , Piotr Kudlik and Tomasz Kaplan and got the bronze medal. 78 players from 6 countries (Belarus, Israel, Italy, Poland, Romania and Slovakia) came to Allinone Club in Mikolow. It was not very successful tournament for the guests from abroad. To the group of the best 32 players got only Ioan Ladany and Ciprian Gindac and Milan Mrva and Lukas Kovac . 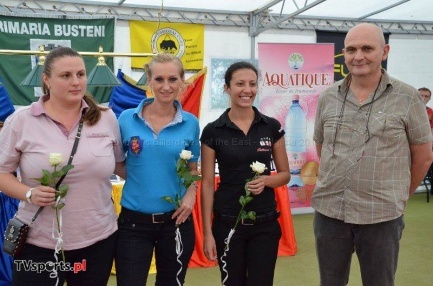 Three ladies played in Polish 9-Ball - Ewa Bak , Katarzyna Wesolowska and Izabela Lacka . 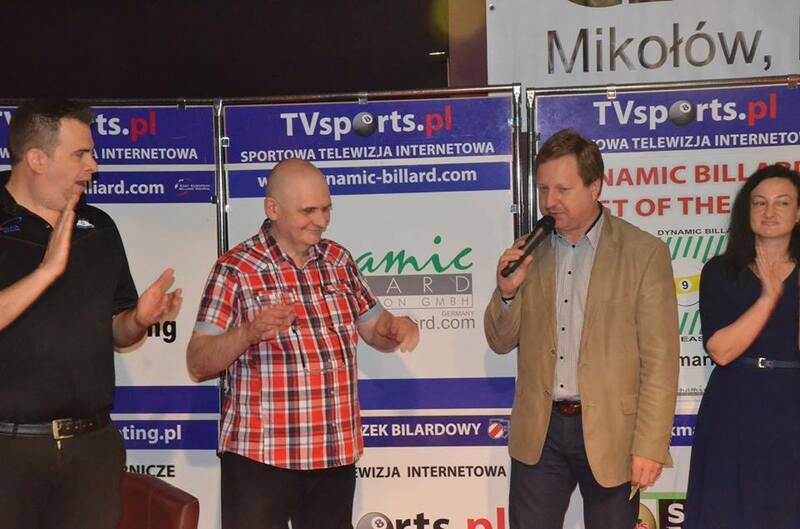 During the opening ceremony director of the tournament - Marcin Krzeminski presented the medalists of European Championships 2015 and thanked the Mayor of the City of Mikolow for the support in organizing the event. 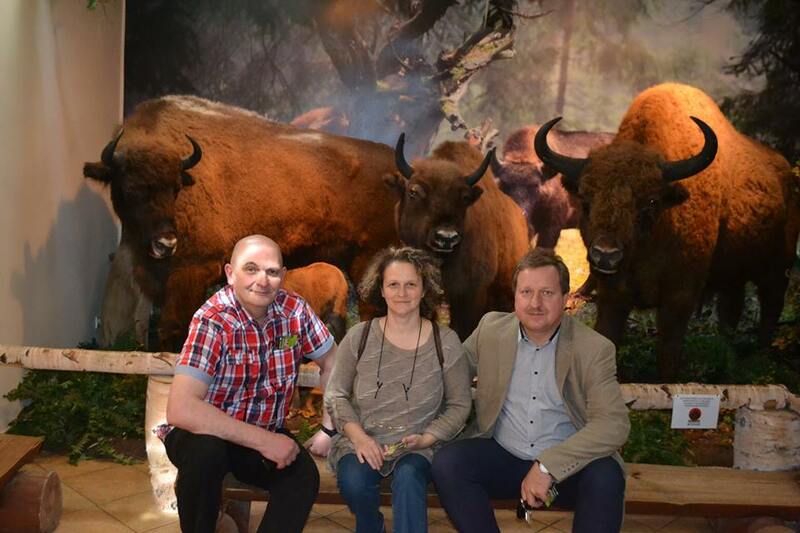 The representative of the Silesian Voivodeship Marshal Office - Joanna Niesyto wished all the players sport successes and spending good time in Mikolow. The Mayor - Stanislaw Piechula made the opening shot. 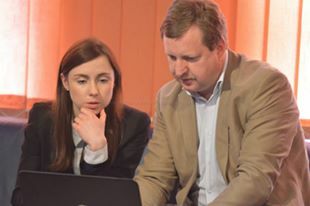 Many thanks to the local governmet, sponsors - Dynamic, Iwan Simonis, Aramith, Brzesc, Tor, Allinone Club in Mikolow and Arkadiusz Maciol who was responsible for technical aspects of the event. 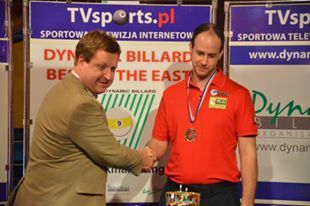 The refferee of the tournament was Ziemowit Janaszek. 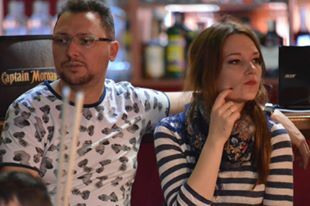 TVSports.pl provided live broadcasting and promoting returned evenimentrului in Romania "the Best Partner" Adrian and Maria TABACARU - ATD Dynamic Billiard. 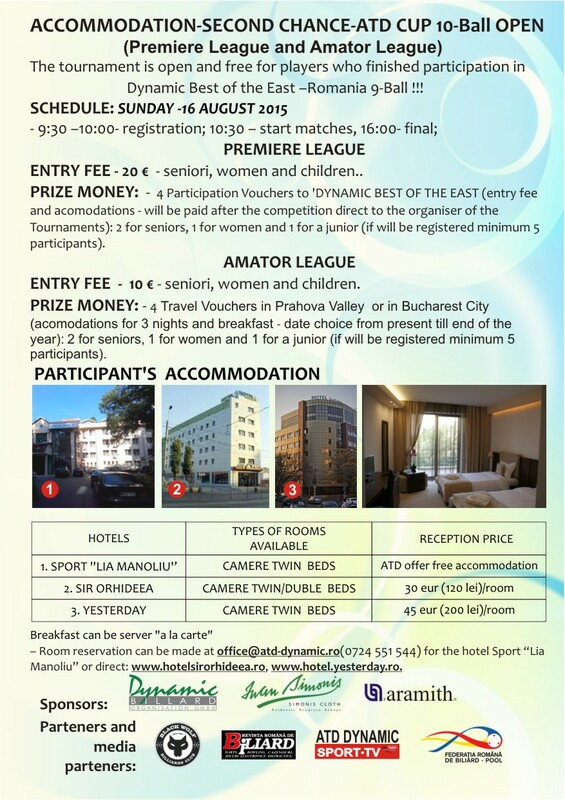 The next tournament of Dynamic Best of the East will take place in July in Bulgaria. 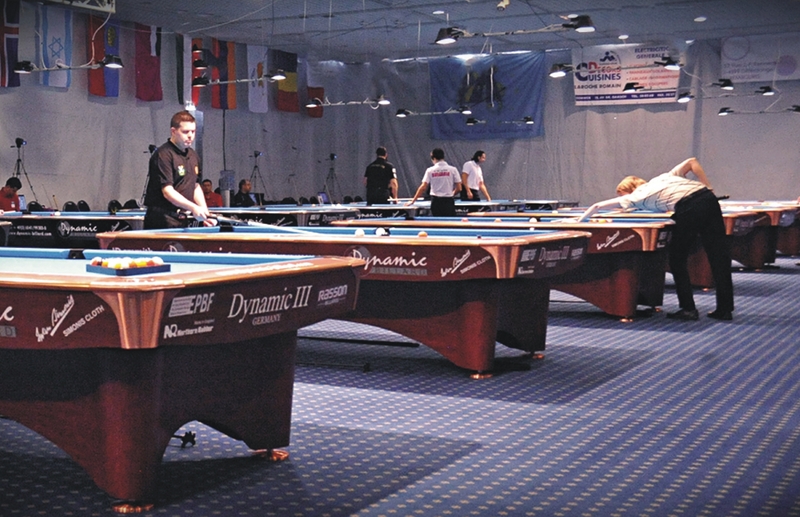 The first tournament of the Dynamic Best of the East 2015 cycle took place in Arena Club in Ruzomberok on 28th-29th March. 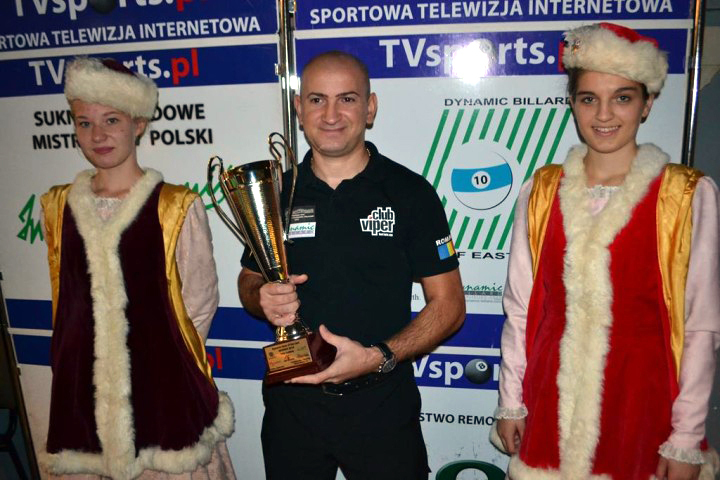 No 1 of Polish 2014 ranking, Polish Champion in 10 and 9-ball - Mieszko Fortunski - became the winner of the competition in Slovakia. In the final match defeated his teammate Konrad Juszczyszyn 9:7. 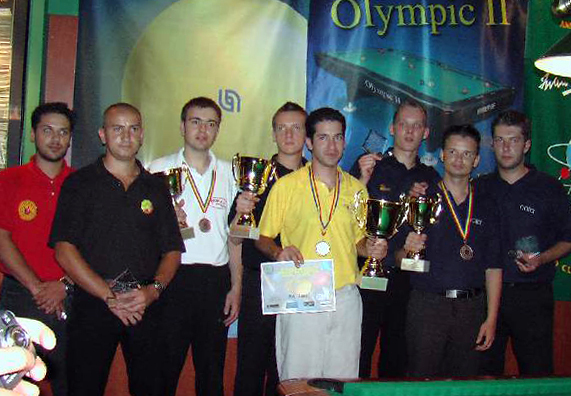 Players from Romania - Ioan Ladany (the winner of the Dynamic Best of the East 2014 cycle) and Ciprian Gindac (the winner of the Dynamic Best of the East - Bulgaria 2014) got the bronze medals. 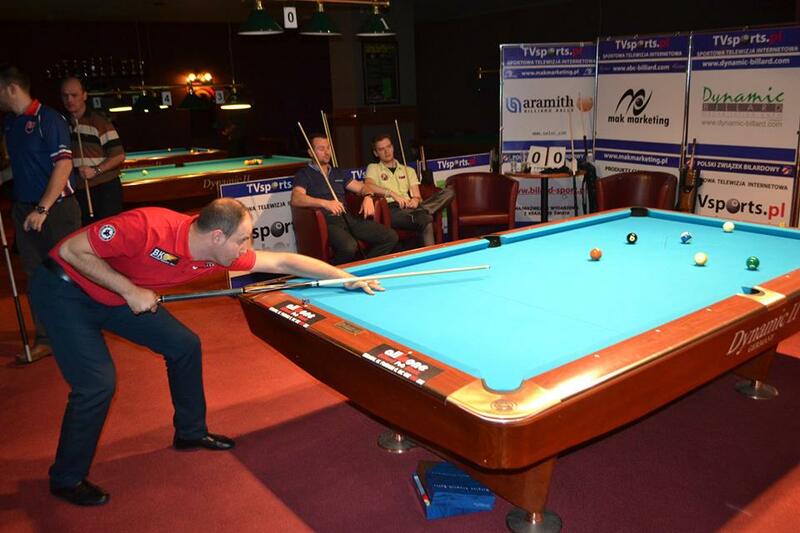 The tournament was organized together by Mak Marketing comapny and Slovakian Billiard Association. A special prize for the winner - DEXO watch worth 560 Euro was founded by "Hodinky.sk". 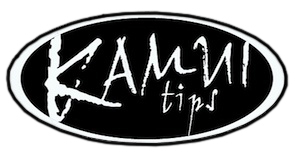 On-line broadcasting was provided by TVSports.pl. 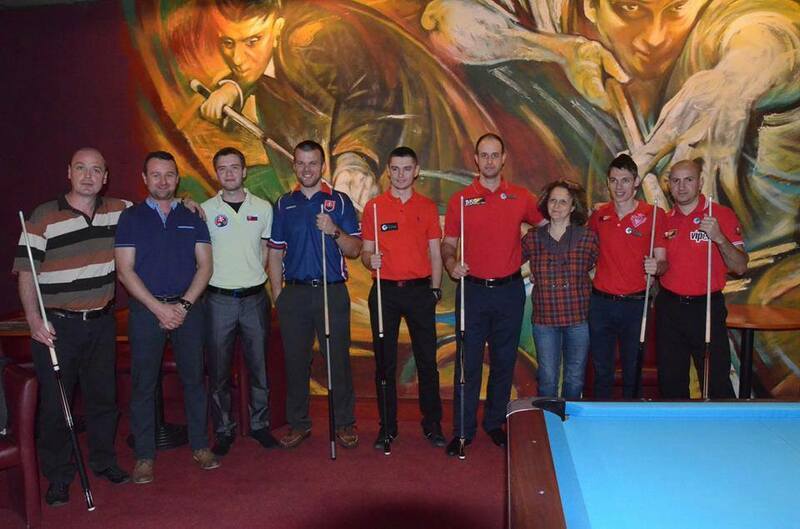 The main sponsors of the event were: Dynamic Billard Organization , Iwan Simonis and Aramith . 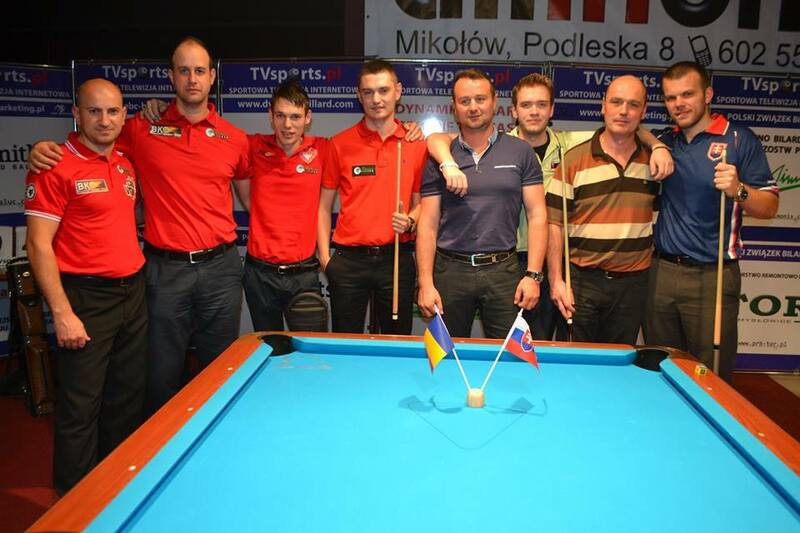 The next tournament will take place in Mikolow (Poland) on 16th - 17th May 2015. 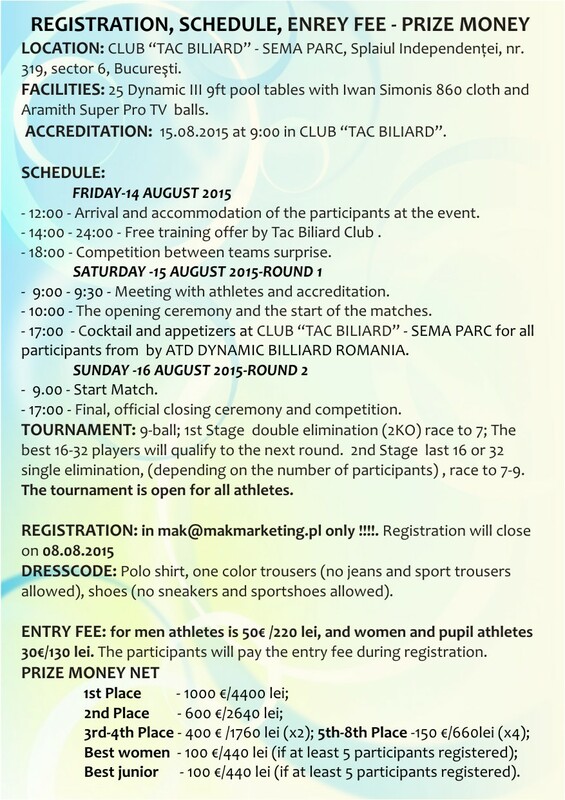 "For 12 years Mak Marketing with its partners has been organizing the second biggest in Europe cycle of open pool billiard tournaments. Few thousands players took part in the events along this time. Many of those, who had started their sport carreer in Dynamic Best, later got the medals of European Championships and prestigious international tournaments. In spite of the time which has passed since the first Dynamic Best of the East, the cycle is still very popular. 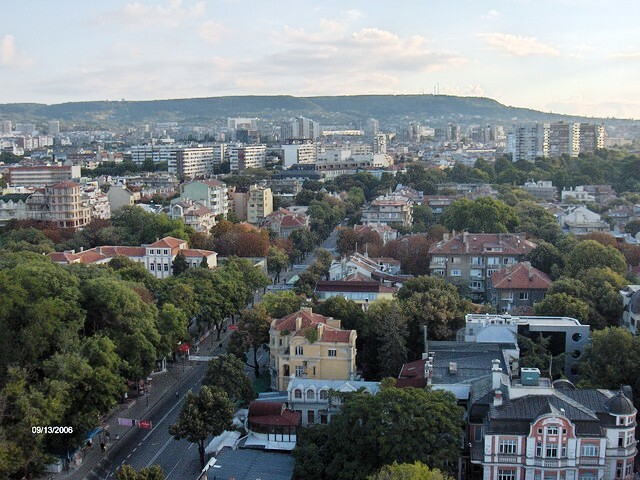 Over 240 players from 16 countries (Poland, Romania, Bulgaria, Slovakia, Czech Republic, Ukraine, Serbia, Macedonia, Russia, Belarus, Israel, Georgia, Lebanon, Moldova, Great Britan and Italy) took part in 5 events of 2014 cycle (Ruzomberok, Prague, Burgas, Bucharest and Debica). 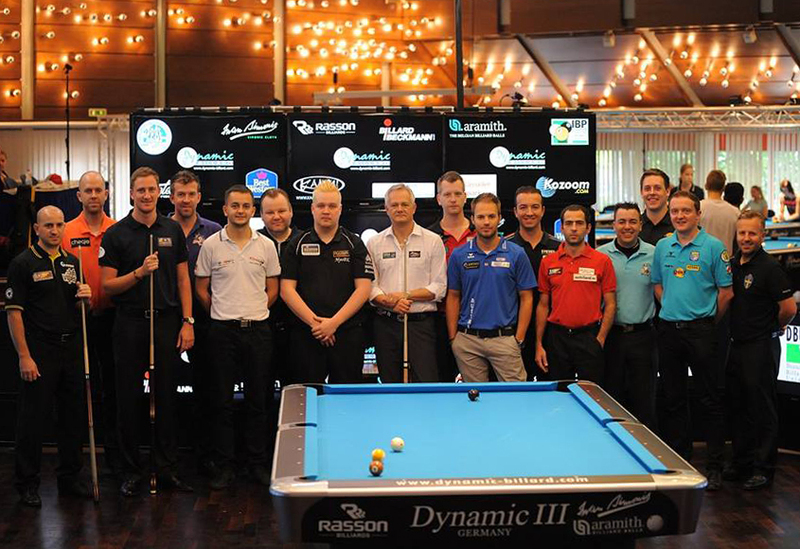 Thank to the sponsors (Dynamic Billard Organization, Iwan Simonis and Aramith) we could offer the pool prize of 18.000 Euro. Thank to the activity of the partners the information about the events were given by the tv stations in Slovakia, Romania and Poland. 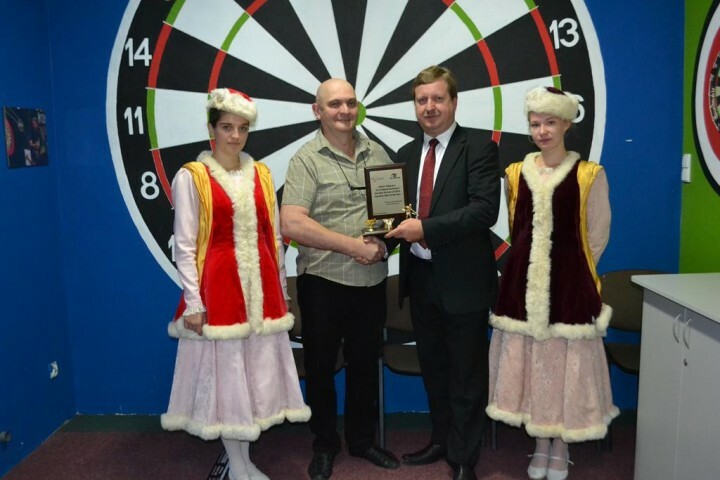 The special distinction: "the Best Partner" was given to Adrian Tabacaru from A.T.D. 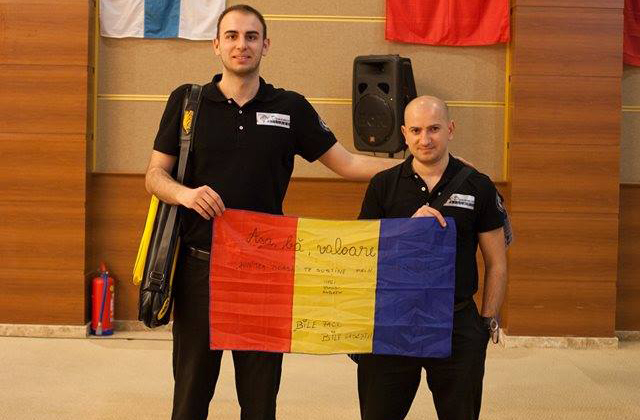 Dynamic from Bucharest, who not only in perfect way prepared the tournament in Romania but also supported players from his country during other events." 5. Michał Lichodziejewski - 210 pts. 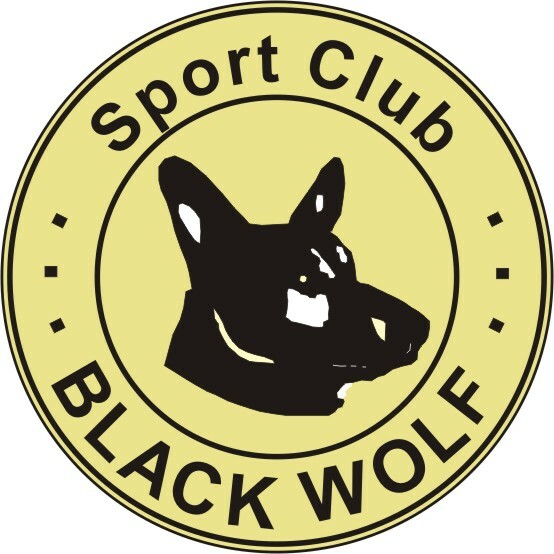 Jucatorii echipei sportive Black Wolf. 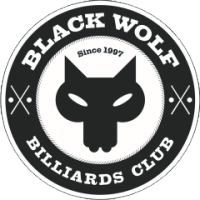 Participarea sportivilor echipei Black Wolf la Eurotour Dynamic Billiard cel mai important turneu European. Organizari competitii, participari la competitii, parteneriate si evenimente. Turnee internaționale, cursuri și seminarii pentru sportivi, popularizarea biliardului ca sport și realizarea de intalniri. 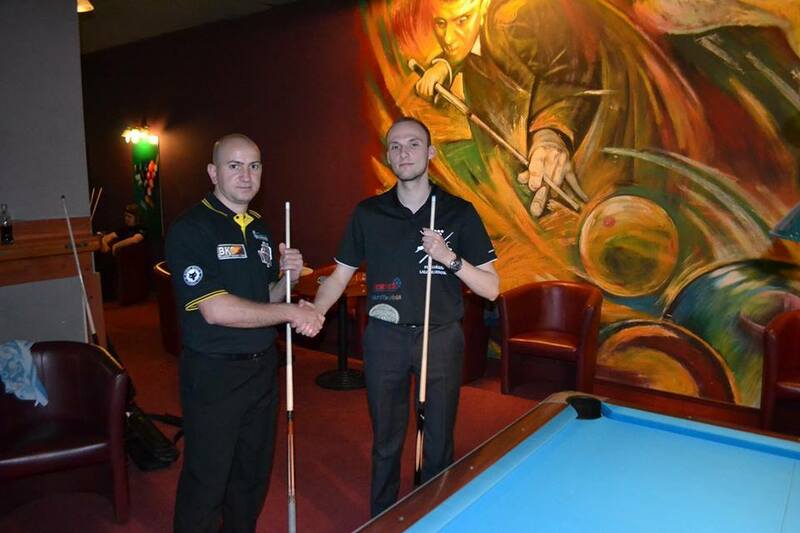 Participarea sportivilor echipei Black Wolf la Campionatul European de Biliard cel mai mare turneu din Europa. 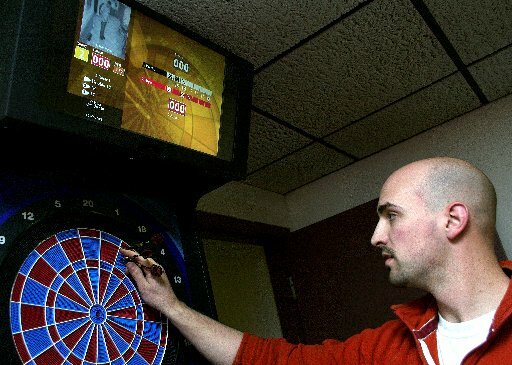 Competitii sportive internationale de darts on-line. Dynamic Best of the East cel mai important turneu est-european organizat si in Romania.